Are you looking to turn your bathroom into a showpiece? Then look no further than South Bay Glass. Are you looking to replace an old shower door with new modern glass? 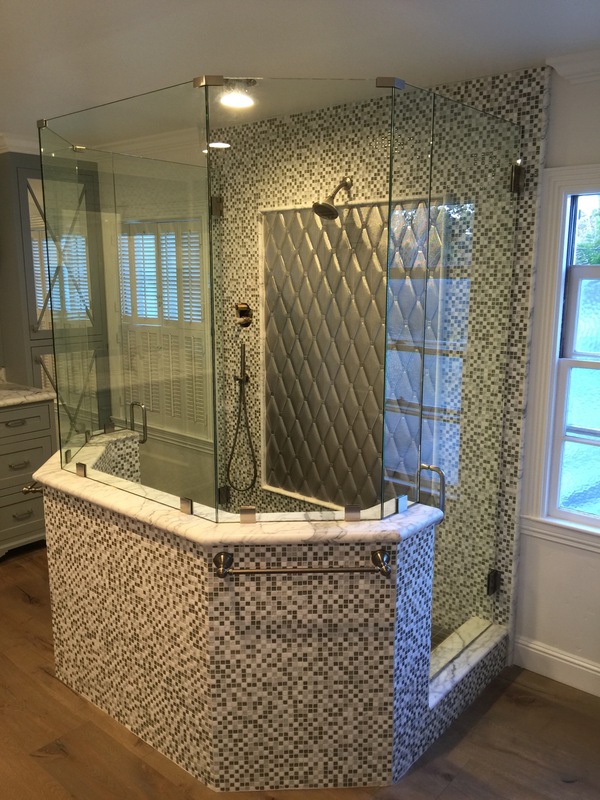 South Bay Glass has been installing new shower doors and fulfilling other home business glass needs for over two decades. We are a locally owned and operating company working out of Santa Clara, Ca and we provide excellent service to business and home owners throughout the entire South Bay. When you have a moment we highly encourage you to check out our excellent ratings on yelp and other review websites. We can say all we want, but we know it’s better if you hear directly from all of our satisfied customers. Since we’ve been in the business for so long we understand the nuances and needs of the customer. We know that glass, shower doors mirrors and storefronts are more than just a functioning item in your home or business. We know that the features of the glass, the texture of the glass and the style of the glass all come together to make a statement. They make a statement about your home or your business. Glass gives home owners the freedom to express their selves in their homes and it give business owners the chance to make a lasting impression on their clients. We’ve been working with glass for over two decades and not only do we understand the artistic side of glass, we also employ a highly qualified crew of technical experts that can save you money and hassle by applying their experience and expertise to your benefit. With our years of shower door and glass installation we know how to do the job right the first time. We can apply this experience in helping you pick the best storefront, mirror, window or shower door to fit your needs. We know how to strike a balance of style, design and budget to best fit your needs.